Making creative greeting cards can be a lot of fun for the entire family. Most friends and family members enjoy receiving greeting cards as they will especially appreciate the time and effort that has gone into the making of these creative greeting cards. Kids will definitely enjoy making their very own creative greeting cards that they can give to others as it can be nice way for them to stay busy and do something nice for others. Make sure that you have all of the proper supplies like paper, glue, scissors and other times that you can find easily around the house. If your kids are small then make sure not to use very small items that they might stick in their mouth. Keep in mind, any supervise activity that your kids might be doing when it comes to handling scissors and glue. Decide on the size and shape that you want your greeting cards to be. A good rule is to follow the standard size of 5 by 7 inches as you will be able to easily find nice envelopes for your creative greeting cards. If you want to go for custom sizes or shapes then you should make your own envelopes. Get nice thick paper that you can easily cut in to different sizes or shapes. Remember that you can always buy various colours of paper to make your greeting cards look nice. Always be careful while using the scissors and avoid cutting your fingers. Be sure to cut many squares from the paper in case you make a mistake or want to start a new creative greeting card. Take a nice marker and write a creative greeting message on the outside and also on the inside of the card. You can use different colour markers or crayons and try out different styles of writing. Remember to take your time as you do not want to make any spelling or grammatical mistakes. Now you can decorate your greeting cards with sequins, glitter, lace and other materials that you can easily find sitting around the house. 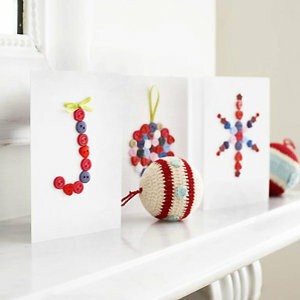 Use glue to decorate your greeting card with all types of material to make it fancy. Allow your kids to enjoy themselves as they glue different things to the cards to make them creative and unique. Put your creative greeting cards in envelopes and either hand out or mail them to whoever you want to send them to. They will be happy to get your creative greeting cards in the mail.